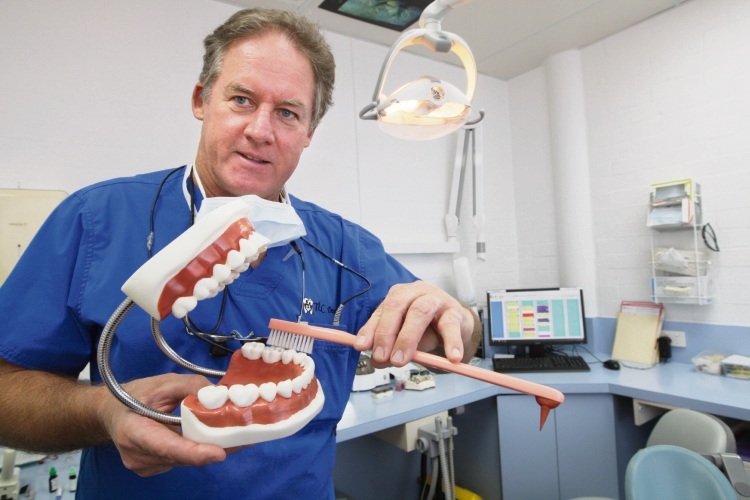 A THOROUGH oral hygiene routine for children could mitigate the risk of disease later in life, according to Australian Dental Association (ADA) federal president Hugo Sachs. ADA and the Australian Health Policy Collaboration (AHPC) have released a report showing three in four children consume too much sugar while one in three five- to six-year-olds had decay in their baby teeth. Dr Sachs said the latter figure was an unacceptably high rate that put “children at risk of poor oral health in their development and adult years”. The report – Australia’s Oral Health Tracker – showed one third of the 67,000 people hospitalised for oral health problems were children under nine years old. “Poor oral health in childhood is a predictor of disease in adulthood,” Dr Sachs said. Gum disease and tooth decay are two diseases tied to poor oral health. TLC Dental Winthrop’s Ian McCarrey said parents had an important role to play. “Children lack the dexterity and often the enthusiasm and patience to tooth brush effectively under the age of ten,” he said. He said the elderly could use similar assistance. Dr McCarrey said good dental hygiene was a combination of measures including brushing, flossing, avoiding sugary drinks, as well as regular visits to the dentist for an examination and clean.